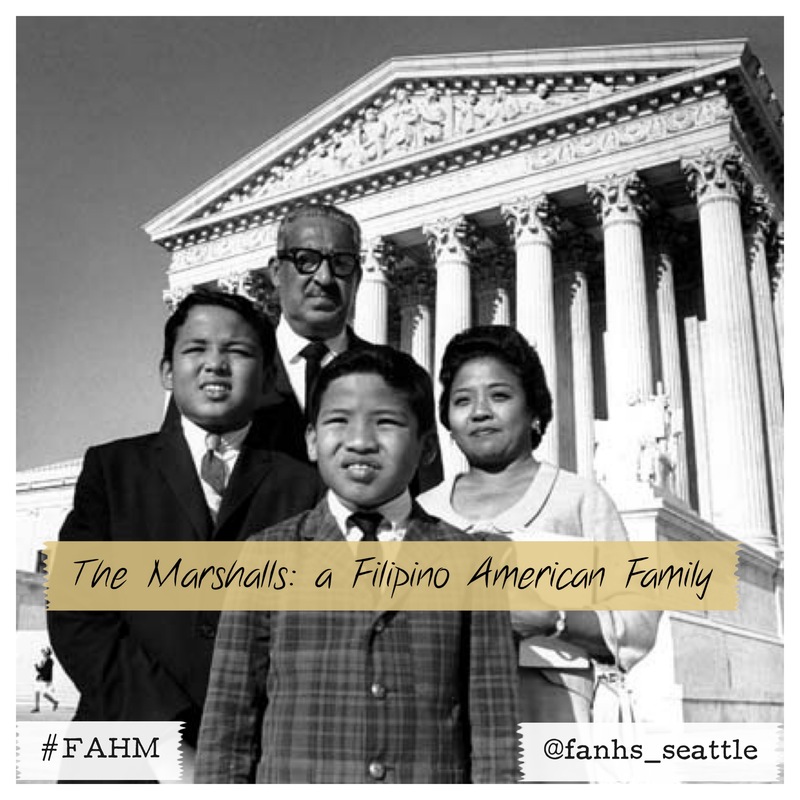 Here is a video interview of Filipina American Cecilia “Cissy” Suyat Marshall reflecting on her life, husband Thurgood Marshall, and experiences at the NAACP. Cecilia Suyat went to Columbia University to study as a stenographer and then became an employee at the NAACP where she met many influential people working towards civil rights. She reflects on working in the New York offices of the NAACP as a blessing, possibly from her guardian angel. Although they were working towards equality, she was fearful of Thurgood Marshall’s marriage proposal to her. Although not black or white, many people still treated her as a foreigner. Her sons are Thurgood Marshall Jr. and John W. Marshall.